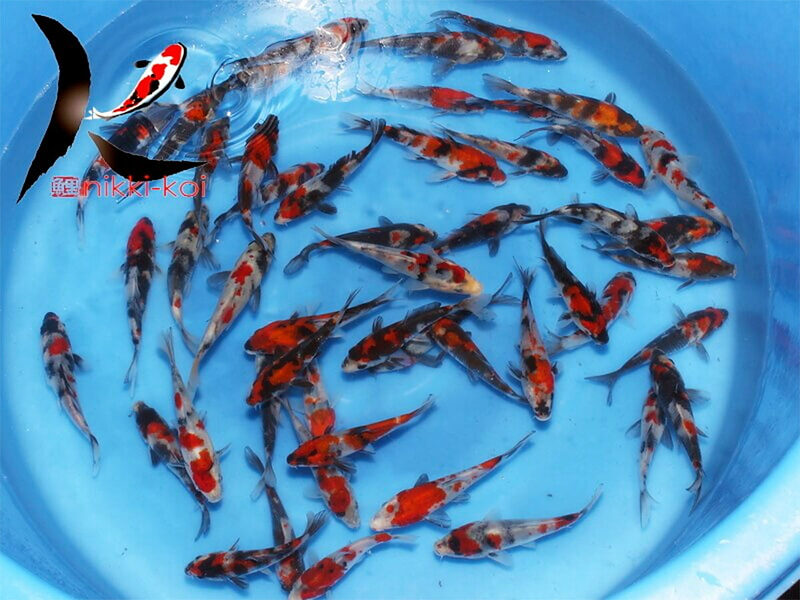 These 13-15 cm cm Japanese koi are excellent quality Showa from the breeder Marudo. Thees Tosai (1 year old) are already showing excellent sumi develpment, they have nice balanced patterns and great colour. 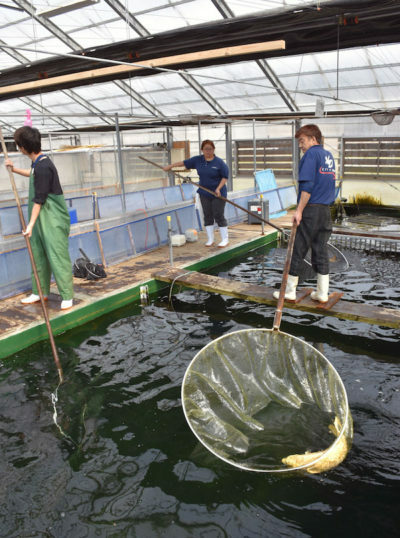 Marudo Koi Farm – now run by Hisashi Hirasawa in the Nagaoka region is one of the top breeders. Established more than 40 years ago, they have become well known within Japan and around the world. Their koi win many shows in Japan and Europe. 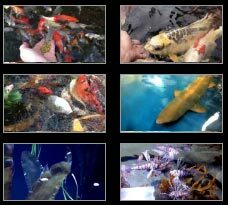 The varieties of koi they are most well know for are Showa, Sanke, Kohaku, Kujaku and Yamabuki.